Richmond massage schools with student clinics, spas and how to find a massage therapist - helping you locate massage therapy services in the Richmond VA area, with a list of types of massage therapy and prices at each business. With the growing popularity of massage therapy, practitioners are choosing the profession over traditional careers, and different types of practices are popping up all over the world. Richmond, VA is no exception. After choosing a massage school, getting a massage education, and starting a practice, therapists in this area of the country are creating lucrative businesses and enjoying profitable careers. www.instituteofmassagetherapies.com They offer a Medical Massage Center here with certified therapists. Costs range from $65-$110. Lori specializes in Deep Tissue massage, Hot Stone Therapy, Lomi Lomi, Lymphatic Drainage, Myofascial release, Pregnancy Massage, and Swedish Massage. Prices from $45-$150. Richmond massage schools can offer a therapist a wide variety of educational courses to prepare for licensing exams in the state, but they may also offer opportunities for attending continuing education classes beyond massage school, which is part of maintaining a license. 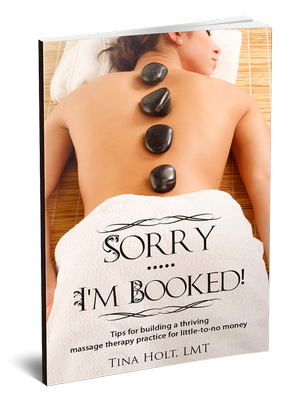 Marketing massage is an important part of building your massage practice after obtaining a license. Go grab my ebook to learn easy step-by-step directions on growing a business, and watching it thrive, no matter what the economy is doing...and that is critical! !